Welcome to this week’s Tasty Tuesdays’ Link Party! We’re so glad you’re joining us. This past weekend we celebrated Memorial Day and I would like to send a heartfelt THANK YOU to all veterans, active duty military and their families for your service to our great nation. Memorial Day has been deemed the “unofficial” start to summer, and with that comes cookouts, picnics, grilling, and family fun. 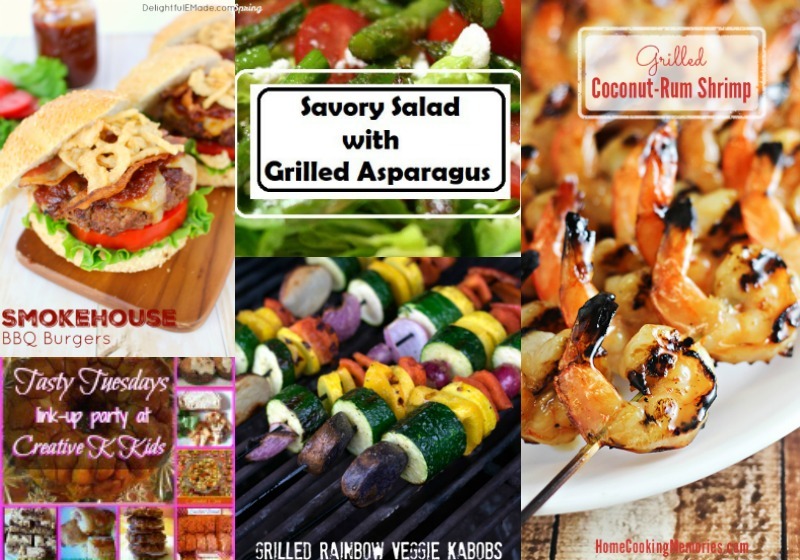 This week I choose to feature recipes that are great on the grill for all of your summertime cookouts and family gatherings. 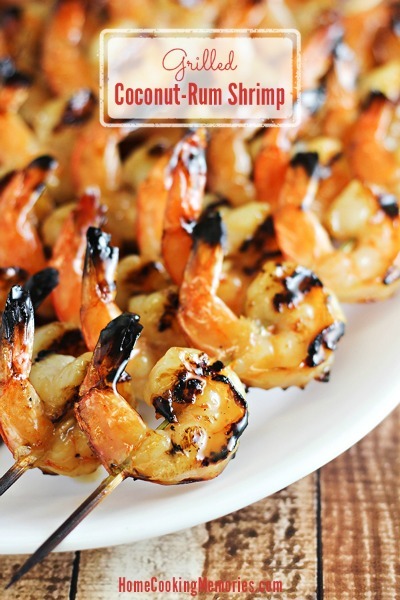 Grab the 5 ingredients needed for these yummy Coconut-Rum Grilled Shrimp skewers, and serve them up for dinner. 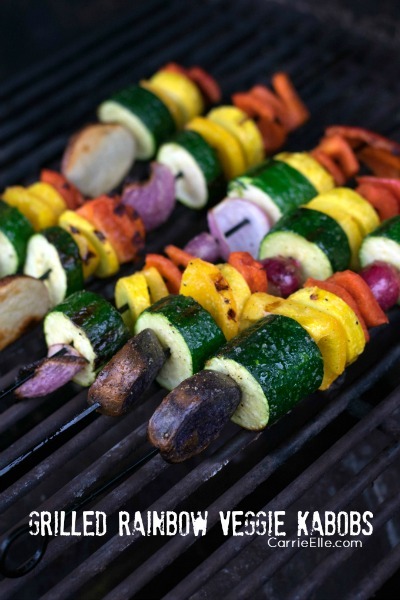 While you have those shrimp skewers on the grill, add these Rainbow Veggie Kabobs for an easy and healthy meal. 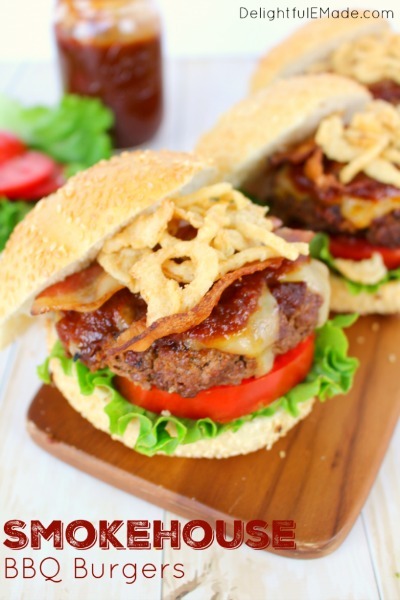 I love a good grilled burger and this Smokehouse BBQ Burger looks amazing, drool-worthy even. 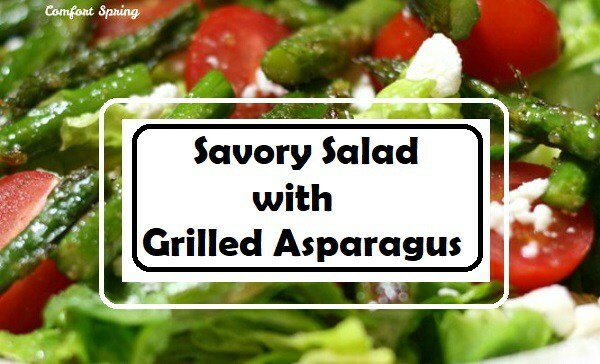 A perfect side for that burger is this Savoy Salad with Grilled Asparagus.